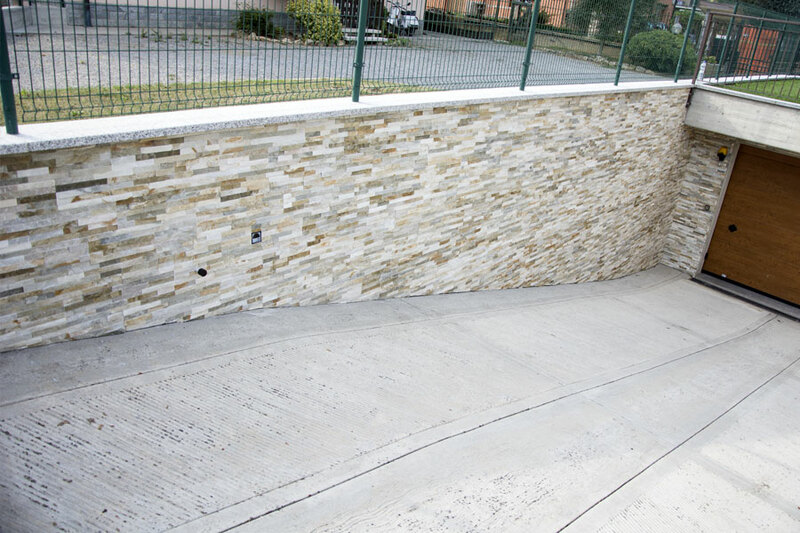 External cladding in a private house. 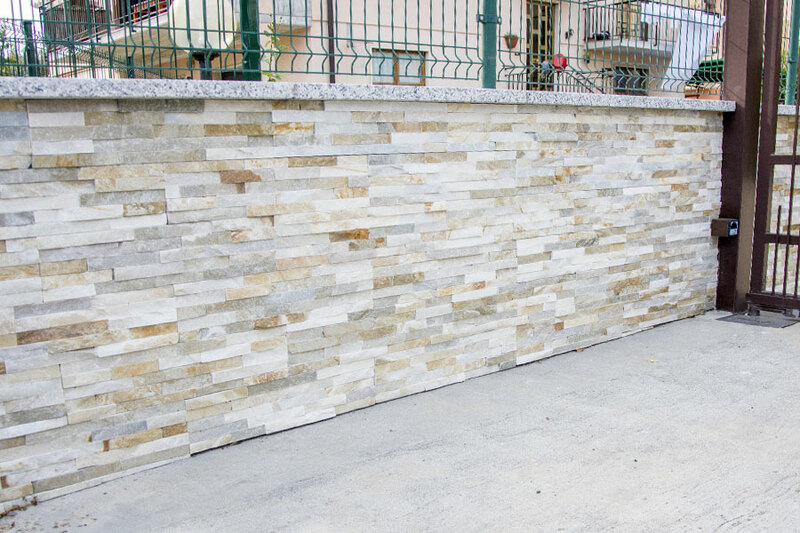 External cladding in a private house in Grumello del Monte (BG) realized with D-Stone Yellowdesert – cm 15x60x2/3. 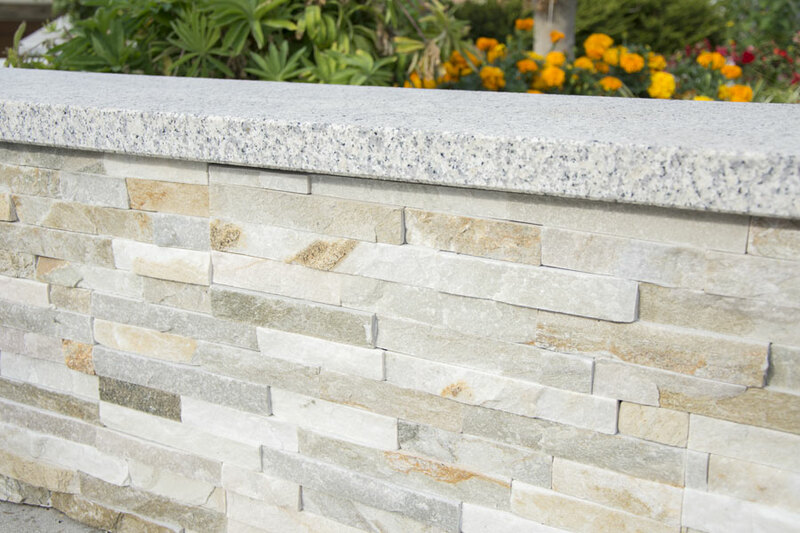 Particular of the wall stone D-Stone Yellowdesrt cm 15x60x2/3. 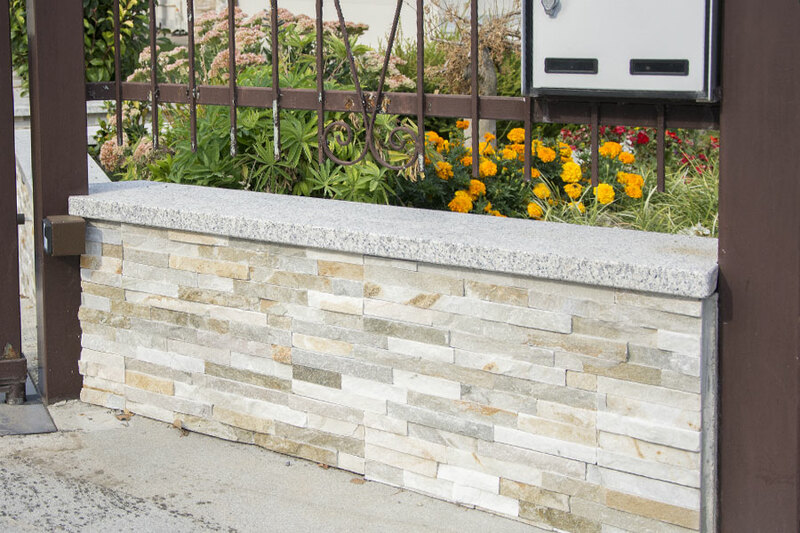 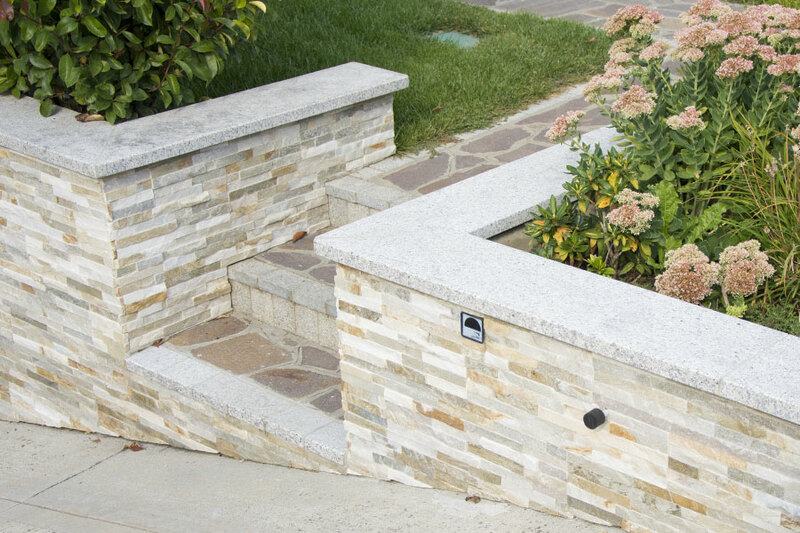 Particular of corners realized with D-Stone Yellowdesert corners – cm 15×45/15x15x2/3. 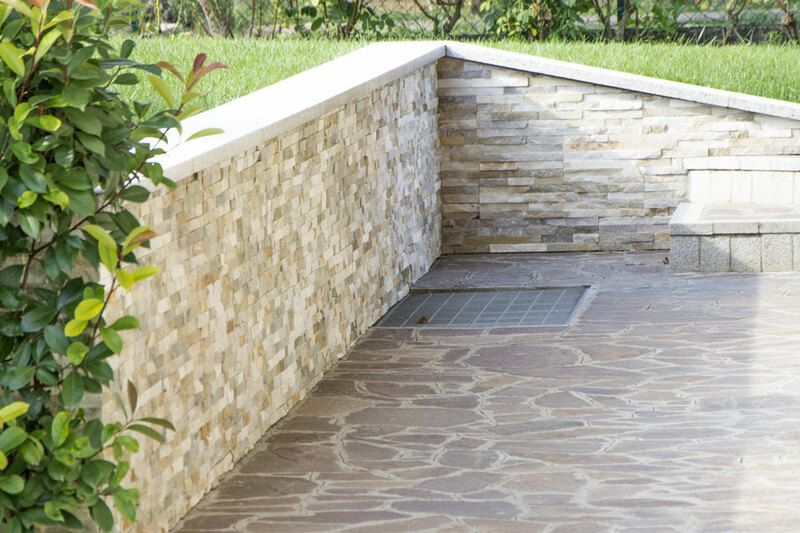 Adjacent steps and paving realized with Red Trentino Porphyry crazy paving – normal size – natural surface – thickness cm 3/5.